What is Google Advertising / Google Adwords? Why Advertise with Google? 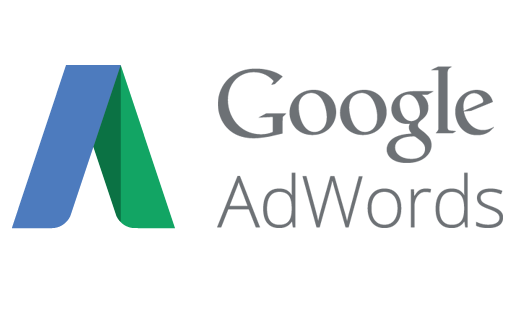 Grab $100 Adwords coupon credit for a whole month from internet. Even if you have some experience with Adwords or have a handle on what you need to do, don’t dismiss this guide as something you can’t use! It is a “beginner’s guide”, but it has some pretty powerful tips to help you avoid making rookie mistakes that most people who start out with Adwords make. If you meet these qualifications, let’s get started! TIP: If you are totally lost you can call Google at 1-877-908-4181 Mon-Fri 9am-9pm. Step Two: Go to the Adwords home page (Google.com/Adwords) and click “Create your first campaign. Go ahead and accept the default details, you can change them later if you need to. Step Three: Set your budget. Enter your Maximum cost per click. Remember, you only get charged if someone clicks on your ad. Set your DAILY budget. You are in complete control here. One idea is to set your daily budget at around $3.00 so you can spread out your $100 Adwords coupon credit for a whole month. TIP: Less is more when you are first starting. Get some initial data from your efforts, refine your campaign, then when it’s really performing you can spend more – and make more! Some SMB‘s spend as much as $100 a day when it’s running smooth and making money. You have probably seen what the ads look like above and to the right of normal search results. Model your ad after the most compelling ads you have seen. Create interest, tell them what to expect, and use a Call to Action like “Sign up today” or “Order Now”. Pro Tip 1: Don’t use ALL CAPS anywhere in your ad. They will just kick it back and make you re-do it. Also you can’t say “Click here”, they don’t like that either. Pro Tip 2: This is a big one. Make sure the words of your Ad align well with the keywords you choose, and also the page you send them to when they click it. This is one way Google rates the quality of your ad. High quality ads get shown more often and cost less than low quality ads. Pro Tip 3: Only focus on Desktop OR mobile. Don’t do ALL devices. The needs of a person walking around with a mobile phone are very different from a person sitting at their desk. Why did I say “Ad(s)”? Never run just one ad. It’s too easy to set one ad up and go, but you will never know what you are missing. I recommend three ads per group at least. Rotate them randomly at first and then Google will tell you which ones get clicked on more. Then you can refine them from there until you have the best possible ad. Just because you came up with an Ad your Mom thinks is good, does NOT mean it’s the ad that will make you the most money. Can you dig it? That’s it for the first post. Some basic stuff along with some pro stuff. Remember, the trick is to DO IT. You can’t make any money just sitting around thinking about it. So get started with Adwords. This is about improving your existing search engine rankings at Google. Make sure not to spam the world. DO NOT USE any kinds of spammy bots. Every website owner is traffic-hungry. Frankly, driving quality traffic to your website is not that complicated at all IF you follow the rules and guidelines laid by Google and experts. The best Guru-mantra IMO is to use correct anchor tags, inline with your niche and current rankings. The moment we are clear about what keywords and phrases we need to focus on, implementing everything else is a lot easier. To start off, try to identify “target keyphrases” on the basis of the subject, content and audience for your website. Without defining these, great search engine rankings are impossible. Focus not on the key-phrases which have more search volumes, but on those keyphrases which your content is about. This will bring in quality traffic and thus, more revenues. Webmasters have been playing with Meta-descriptions and Titles over the years, but over time, search engine algorithms have become very intuitive and now use complicated algorithm mechanisms which are hard to fool. Therefore, you would need to be careful about what to put and how much… For instance, “Title is important, but more important is the content in the page“. Don’t forget that your page title should make sense, keywords-only will never drive humans to your pages. And yes, for all your pages, each title should be different and unique containing key-phrases relating to that page’s content. Most search engines will display just the first 60-70 characters of the title, so one must keep the most important key-phrases in the starting. Search robots don’t include meta-content in their algorithms any more. But descriptions will be shown in search results so they need to be specific, to the point and relevant. As your SEO Guru, I will rule that you keep meta-description to around 150 characters and write it specifically for a particular page. In the absence of meta-descriptions, search engines will pick some portion of the text from that page and it might not make any sense. Google changed it all in late nineties and other search engines had to follow suit. Today, if you have better content, you WILL win! If you have unique, quality, original content on your site, people will definitely land up at your page and spend time on your website. Just make sure there are enough back-links to your site. Incorporating programs like Adsense gelled with link-based revenue-programs like Info-links, will show great results. With all that said, keep in mind that merely good content won’t be enough, add good pics and videos where ever possible. Repeat: On top of all this, you would require quality back-links too. Be honest and provide your visitors with quality content. Within no time, you will see your site rank up in the search engine results. Not only this, your pages will start attracting many quality incoming links from other sites which will give a boost to your traffic and revenues…. PS: Keep in mind that Google may take several weeks before your efforts begin to show up.